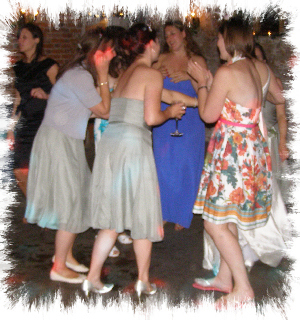 JMF Disco provides fantastic Mobile Discos in Ramsgate for your party - for all different types of events - a party in a pub, a wonderful wedding reception, a fabulous birthday party or a golden wedding anniversary - we can provide the right mobile dj and mobile disco to suit your particular requirements. JMF Disco is owned and presented by DJ John Padmore, a reliable, experienced Disco DJ in Ramsgate. My aim is to provide you with all the help you need, from your initial phone call to seeing your happy guests leaving after a wonderful nights entertainment, at your perfect party provided with Mobile Disco Hire Ramsgate from JMF Disco. We realise that many clients are not used to arranging weddings, birthday parties, children's parties, anniversaries, charity events, presentation nights and similar celebrations - often these are once in a lifetime events or arranged every 10 years or so - so it is vitally important to get things right. By hiring JMF Disco, not only will you get a great mobile disco playing your favourite tunes, ensuring you and your guests will have a great time, you also get to lean on our years of experience to help you arrange a fantastic wedding reception or party and making the whole process as stress free as possible. Our special Party Planner Pack provided with every booking will help ensure you and your guests have a great night and everything goes as you want it to. JMF Disco's Mobile Discos In Ramsgate service will provide you with the entertainment you want for your dream party - why settle for anything less? Call or email John at JMF Disco for your Mobile Disco DJ Hire to find out how I can help you. Have a look at the Celebrations page for more details of the Mobile Discos In Ramsgate service I offer and call me to discuss how I can help make your evening very special. If your school or PTA is arranging for a school disco in Ramsgate, JMF Disco can make your task so much easier, with some very competitive rates for mid week discos. Check out our school discos in Ramsgate here. Contact Mobile Disco Ramsgate on Tel 01795 429777, Mobile 07895 546183 or by email to discuss your Mobile DJ and Disco needs or questions. The Hotel De Ville has a spacious function room for hire with it's own fully licenced bar that is suitable for weddings, parties, birthdays, anniversaries and children's parties. The Mariners Bar has a lovely first floor function room for hire with wonderful views over the harbour. The Small Boat Owners Club have a club house hall to hire for your party that can accommodate up to 100 guests with a fully licensed bar - please note parking is a bit restricted in the area. The Queens head has a private first floor function room for hire with it's own outside terrace and bar suitable for any special occasion including weddings. Check out other local areas and party venues we provide mobile discos for:- Mobile Discos In Broadstairs, Mobile DJ Manston, Mobile Disco Westgate, Mobile DJs Margate, Party DJs Cliffsend, DJ Hire Cliftonville, throughout the Thanet area and the whole of Kent!